Second mixtape by swiss Dj Alkuttraz, featuring a nice selection of underground gems, mixed perfectly. 03. The Outfit – Why I Don’t Know? 12. Kwest Tha Madd Lad – What’s The Remix? 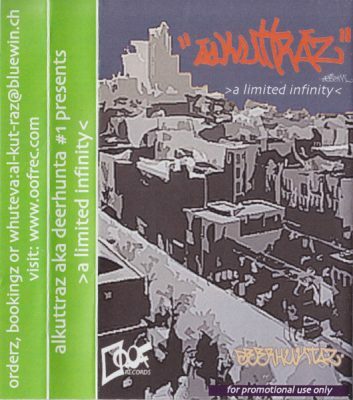 comment "Alkuttraz – A Limited Infinity (Cassette) (2002) (FLAC + 320 kbps)"